Hydra (Greek: Ύδρα) is a cosmopolitan island in the Aegean Sea between the Saronic Gulf and the Argolic Gulf. It is part of the so-called Argo-Saronic Islands, together with Aegina, Salamina, Spetses, Poros, Agkistri, Dokos and some smaller islands and islets. It has a population of 1,948 inhabitants as of 2011. Hydra (from the ancient Greek Υδρέα < ύδωρ, meaning water) took its name from the fresh water springs that were found in abundance on the island, during the ancient times. The island of Hydra played an important role during the Greek War of Independence (1821-1829). 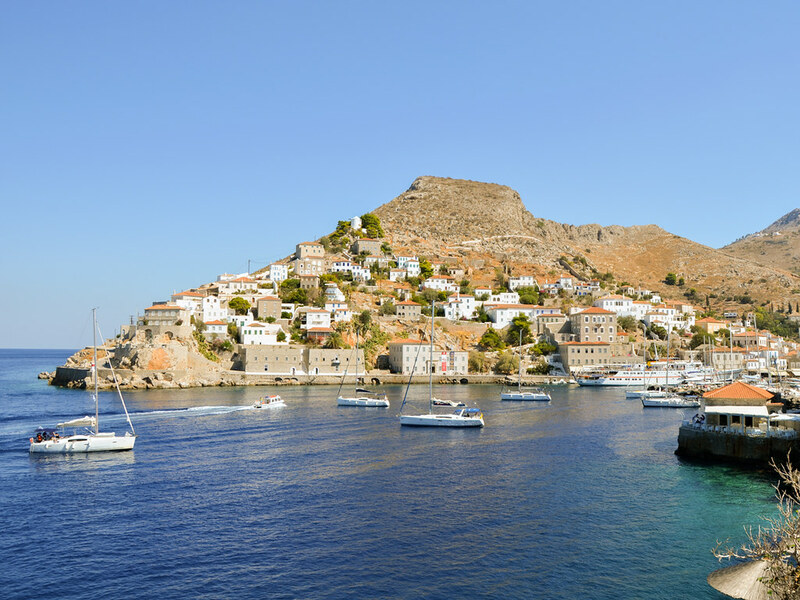 Today, the main town and port of Hydra are built amphitheatrically in the north part of the island, while ramparts are still found at either extremes of the town, remnants of the island's glorious past. The island of Hydra is very picturesque and traditional, featuring listed heritage buildings dating back to the 18th century, and narrow cobbled streets, where transport is made possible only on foot or by donkeys. There are also traditional boats, as well as modern speed boats (water taxis), that move people between the beaches of the island, some of them being accessible only via the sea. Owing to its beauty and traditional character, which has remained unspoilt through the years, Hydra has become not only a very popular summer and weekend destination, but also a favourite place for weddings, baptisms and other ceremonies and celebrations. The blue markers shows the location of various accommodations in Hydra. The letter in the marker describes the accommodation types: H for Hotel, A for Apartment, R for Resort, B for Bed & Breakfast and O for Other (e.g. pension, villa). Click on the blue marker for more information on the accommodation.